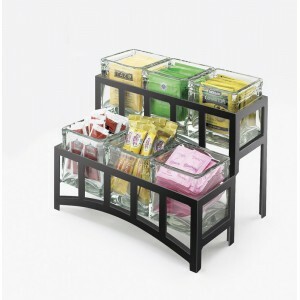 Mission Jar Display - Cal-Mil Plastic Products Inc.
Store and display your packets and condiments with this eco friendly mission jar display that features a sleek black or silver frame accented with glass jars that create organization and style. This product will draw your guests or customers into any bakery, cafe, or restaurant! Jars Included and are removable for cleaning.